On the northern end of the Grand Strand is the historic fishing village of Little River. Just a stone’s throw from the North Carolina-South Carolina state line, Little River real estate offers buyers a quiet, relaxed pace of life that is still close to the attractions and amenities of Myrtle Beach to the south and Wilmington to the north. The area is home to generations of commercial shrimpers and fishermen, an industry that still thrives there today. 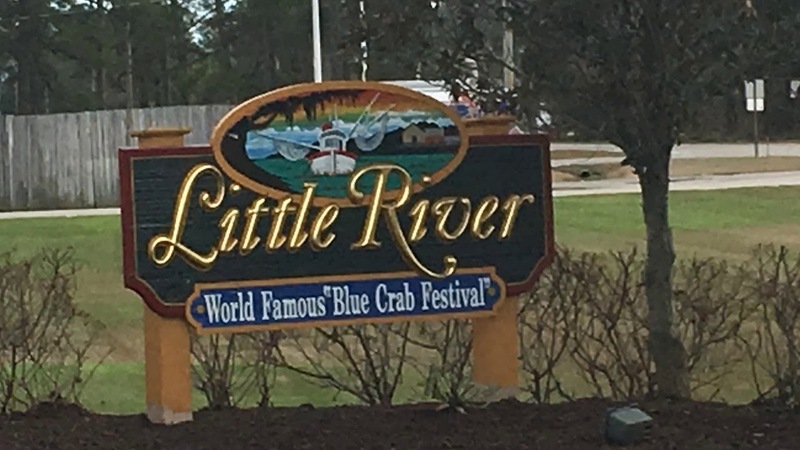 Little River is also the host of the Annual Blue Crab Festival. Populated with weather-beaten centuries-old oak trees, Little River is one of the oldest documented settlements on the Grand Strand. Like many other seaside communities, the village has experienced its share of nefarious pirates and infamous smugglers. The area enjoyed prosperity as a popular port along the coast in the 1850’s until the blockade-runners of the Civil War slowed development of commerce and real estate in Little River. Today, residents enjoy peaceful days exploring the area’s colorful history, deep-sea fishing trips and exciting excursions aboard one of the two casino boats that dock in Little River, sailing gamblers out into international waters where gambling is legal. Growing communities including Palm Lakes Plantation, Waterfall and Carolina Crossing offer cost-conscious homebuyers the coastal lifestyle at a more affordable price than many other communities on the Grand Strand. Students in Little River attend Horry County schools shared with the neighboring communities of North Myrtle Beach, Atlantic Beach and Longs. North Myrtle Beach High School offers Career and Technology (CATE) courses in business, culinary arts and sports medicine. The school also partners with Horry-Georgetown Technical College to offer Pace courses to students in grades 10-12 for college credit. The high school houses a nationally-ranked mock trial team and many unique clubs and activities, including Robotics Club and Interact Rotary Club.